Zibo Guang Dong Chemical Co., is a professional supplier which provides a variety of Chemical emulsion, to provide customers withValue for moneyChemical emulsion ,Propionic acid emulsionand Chemical emulsion and so on. Since the company had been established in Shandong Province,Zibo City,Zhangdian District,Xincun Road,Zhangdian,Zibo, adhere to people-oriented ,and the quality of survival, to the credibility of development,our company have made an outstanding achievement.We based in Shandong Province,market-oriented,to customers are thinking,anxious customer anxious. Viscosity is a very important performance index of acrylic emulsion. Do you know what factors are mainly affected by the viscosity of the emulsion? 1., when the solid content of acrylic emulsion is less than 35%, the viscosity of emulsion does not change with solid content. When the solid content is greater than 35%, the viscosity increases with the increase of solid content. When the solid content is higher than 55%, the viscosity increases with the increase of solid content. 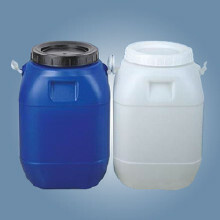 2. the viscosity of the emulsion decreases with the increase of the particle diameter, and the viscosity of the emulsion will decrease when the particle size is to a certain extent. 3. when the latex particles are elliptical, rod, strawberry, snowman and other irregular shape, the viscosity is higher than the spherical viscosity. 4. when many latex particles are gathered together to disperse, the viscosity of the emulsion is higher. In addition, when using polyvinyl alcohol, sodium polyacrylate and hydroxypropyl cellulose as protective colloid of acrylic emulsion, the viscosity of emulsion is related to the type, function and molecular weight of protective glue. The acrylic emulsion is often used as a waterproof layer for Hangzhou Jiaxing Huzhou and the South of Jiangsu rainy and typhoon areas of real estate, then, how the waterproof effect of the emulsion? Acrylic emulsion and cement paste, combination will form the new polymer cement mortar, and the existence of the emulsion will make the density of cement mortar is higher, in addition, even if the mortar is completely cured, the surface chemical bond will gradually with the curing of cement bond, the new bridge is formed gradually, adhesion with the cement curing process is more and more strong, so the waterproof effect is very obvious. Acrylic emulsion has good waterproof effect. When building the new building, it is used for exterior wall to face the surface waterproofing. At the same time, we use it to make waterproof inside the exterior wall, and the effect of leakage control is also very obvious. Guangdong chemical industryalways adheres to the corporate purpose:Ｃｒｅａｔｅ value for customers and step forward with employees. ; advancing with the times,make progress together with Water-based acrylic emulsion, and go hand in hand to get innovation and a win-win situation. To get more information about Chemical emulsion,Emulsion manufacturers, you can log in and look through Guangdong chemical industry official website: www.acrylic-poly.com.